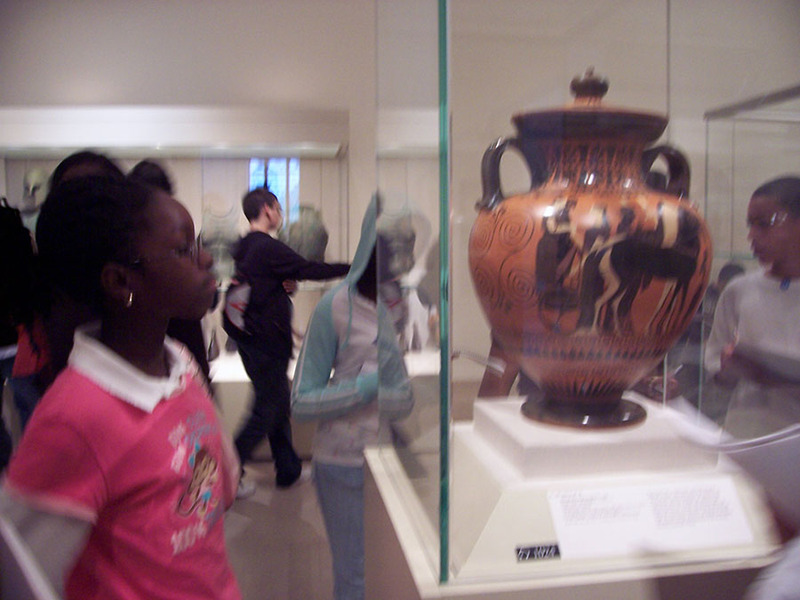 Bridgeport, CT - The Housatonic Museum (HMA) of art has been, and remains, committed to keeping the arts alive through a vibrant and engaging arts education program offered to the students of Bridgeport’s public and parochial schools. Robbin Zella, Director of the HMA and founder of the Program, understands its importance to the Bridgeport community. 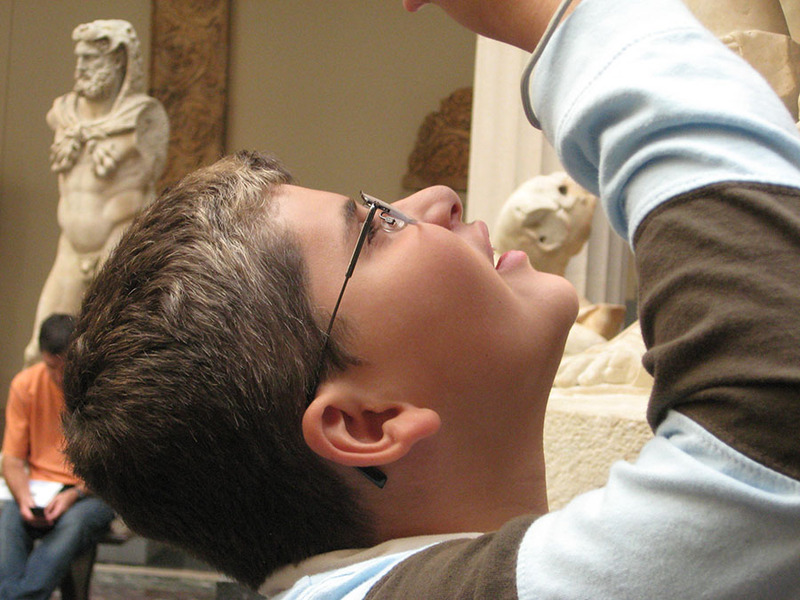 For 15 years, the HMA has delivered arts education to seventeen schools, teaching art appreciation, art-making, art history replete with onsite learning in our own museum as well as field trips to other institutions such as Yale Art Gallery, The Metropolitan Museum of Art, and the Aldrich Museum. This year’s Peer Docent program includes award-winning architect Thom Mayne, originally from Waterbury, CT, and a Turnaround Arts Initiative Artist who will also be working with Hall school in Bridgeport. Enhancing this program even further, the HMA has partnered with the Westport Library in Westport, CT, where its award-winning Maker Space will allow peer docents to participate in a 3-D printing orientation, sketch-up class, and 3-D printing of their own architectural designs. While in Downtown Westport, peer docents will have the opportunity to study architecture in another downtown Connecticut setting with the Westport Historical Society! In 2013, the HMA Peer Docent Program expanded its curriculum developed by Janet Zamparo, Curator of Education, to include architecture with an examination of historic and noteworthy structures in Downtown Bridgeport, CT. In the first year, HMA partnered with the Philip Johnson Glass House and the Carriage Barn Arts Center, both field trip destinations in New Canaan, CT. The following year the Program included an architectural walking tour in New York City. The NYC trip expanded peer docents’ world and experiences, allowing students to view themselves and their city in a new, broader context, and teaching students why the Humanities matter. During the fall of 2014, out of 30 peer docents, only one student had ever visited Grand Central Terminal. This program provided students an opportunity to study significant architectural landmarks, such as Grand Central Terminal, the Chrysler Building, the Empire State Building, St. Patrick’s Cathedral, Rockefeller Center, and the Top of the Rock observation deck for a panoramic view of the City. Funding for this year’s Peer Docent program has been provided by the Werth Family Foundation and Fairfield County’s Community Foundation. Most of the students in the HMA Peer Docent Program come from homes and neighborhoods with limited resources and our funders understand that arts education programs play an important role in emphasizing the transformative joy, hope, and imagination that the arts can bring, and in celebrating the richness in these students’ own lives and in that of their city. For more information about the Housatonic Museum of Art and its programs please visit our website www.housatonicmuseum.org.